multifuel stoves and range cookers over £250. 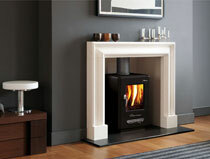 We deliver stoves free to UK mainland for orders over £250 and £25 for orders under £250. If you're off mainland give us a call to make sure we can deliver and if there's an extra charge. We endeavour to have your order dispatched and delivered within 3-5 working days. 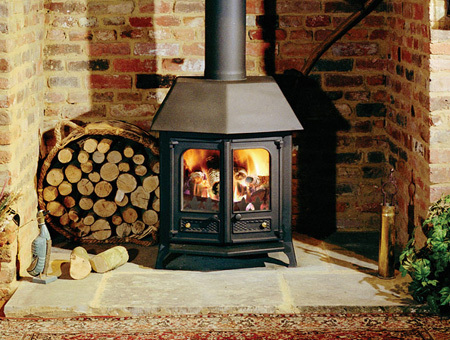 All items are generally in stock and ready for dispatch, however if an item is out of stock we may need to order the stove from the manufacturer (this can take up to 2 weeks) we will inform you of this when you place your order and let you know an estimated time of arrival. Please ensure that someone is on hand to receive the delivery and lend a hand where appropriate. Please also advise us if there are steps which the stove will have to go up or down. In the unlikely event that a stove is received faulty or damaged it should be refused and not signed for. This is almost never the case. Items which have been signed for will be deemed to have been received in good condition. In the unlikely event that you’re not 100% satisfied with your purchase we offer a full refund and collect service. This gives the customer 7 working days in which to decide to keep the goods or return them to us for a refund. This meets European Directive of distance selling regulations. The 7 days start from the day of delivery. Please note however that the buyer is responsible for any carriage costs incurred when returning an item. This cost is usually between £40 - £70 depending on where you are and the type of item. This is a direct cost to us to have the item collected and returned. We will deduct this amount from the refund.